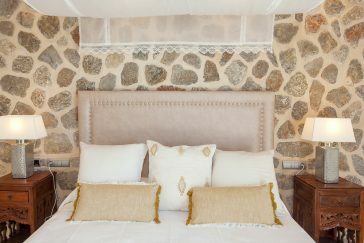 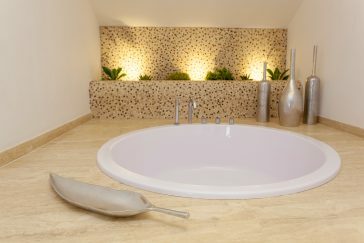 The gorgeous Villa Morna has 5 air-conditioned, beautifully designed bedrooms with exclusive bathrooms and is located near Sant Carles. 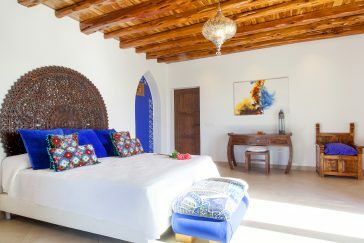 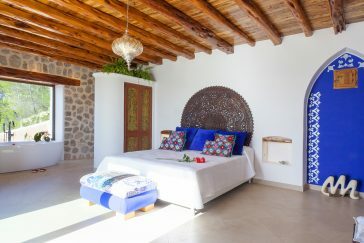 The rooms are individual and very tasteful designed, whereby great attention is paid to quality and design. 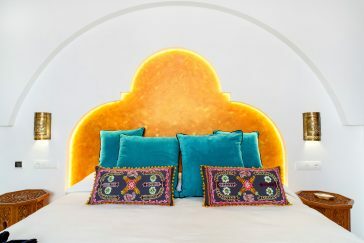 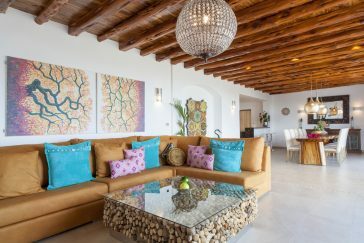 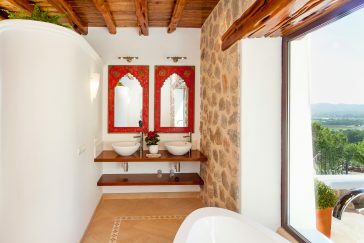 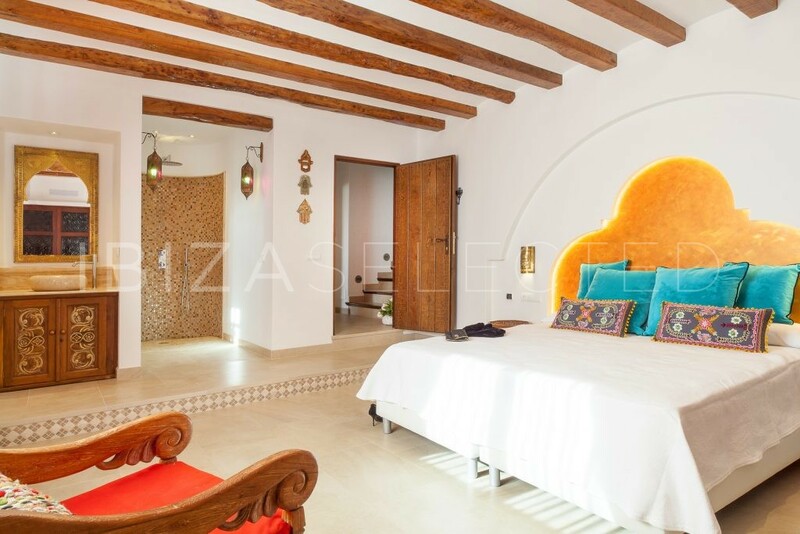 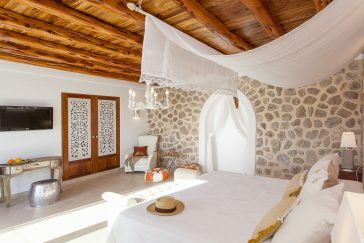 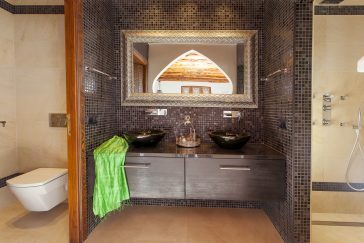 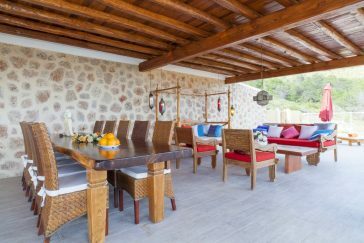 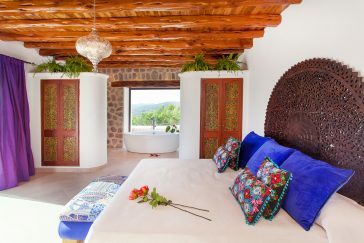 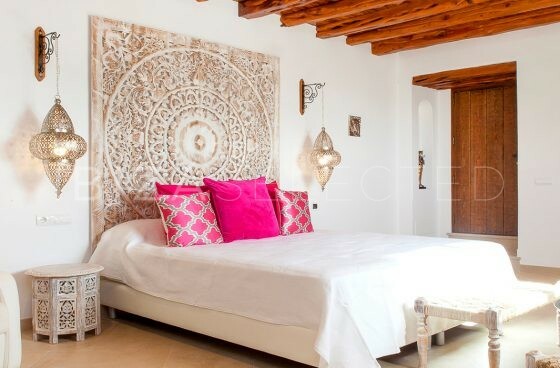 The traditional Ibizan architectural style has been combined with oriental influences, giving the property a pleasant charm. 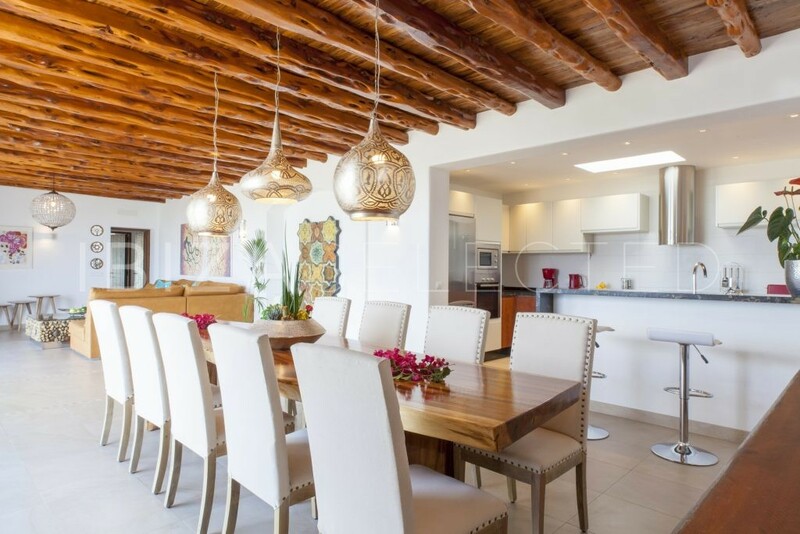 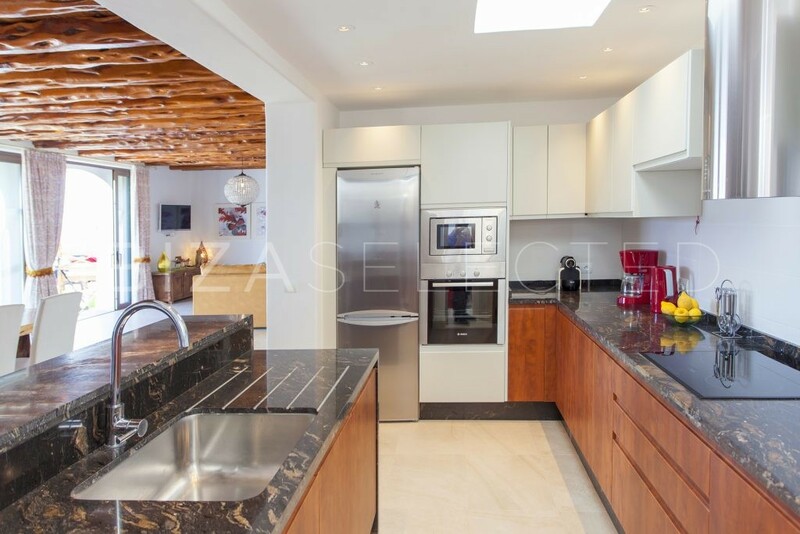 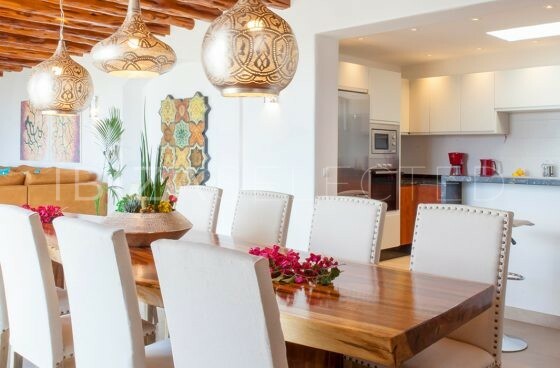 The spacious and well-equipped kitchen and the large living and dining area with TV and stereo, invite you to linger. 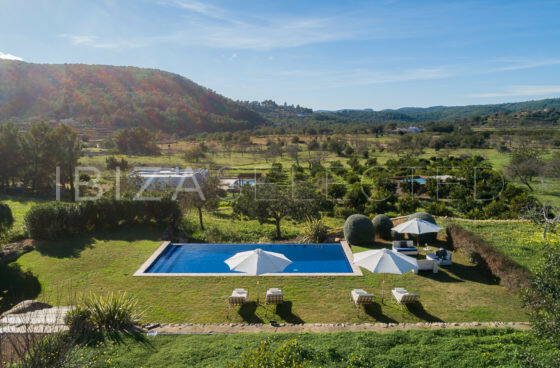 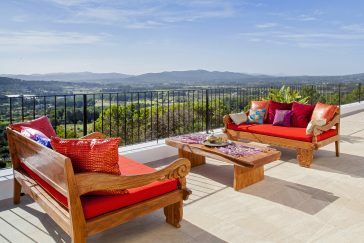 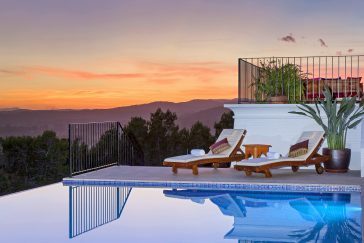 The Villa Morna boasts a magnificent infinity pool, an outdoor kitchen with a large dining and a lounge area, from which you can get a fantastic panorama view over the Morna Valley. 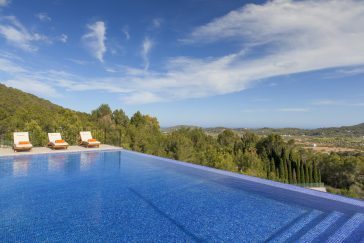 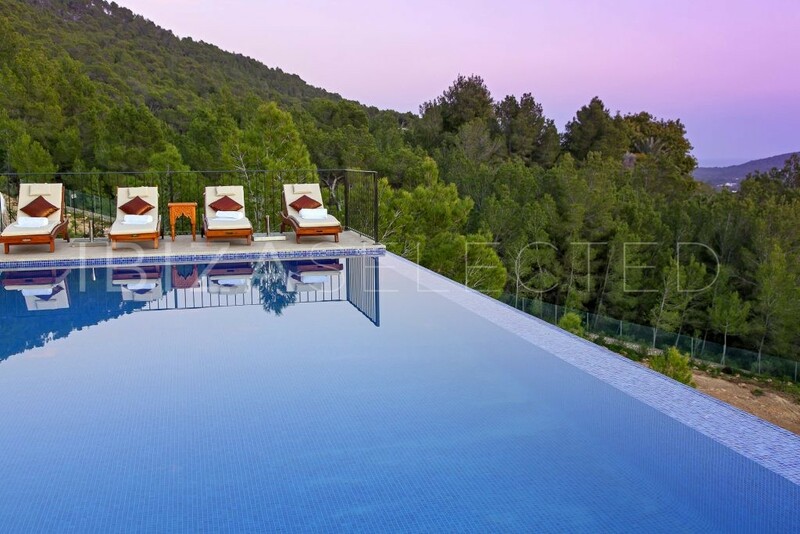 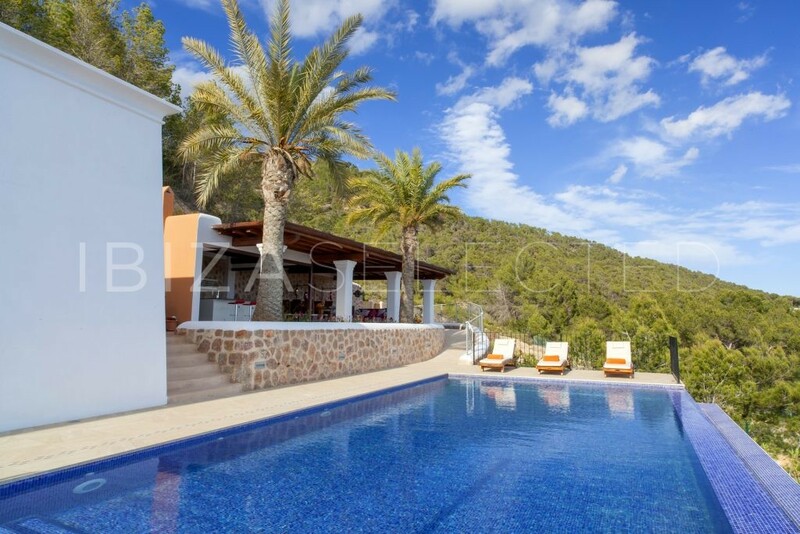 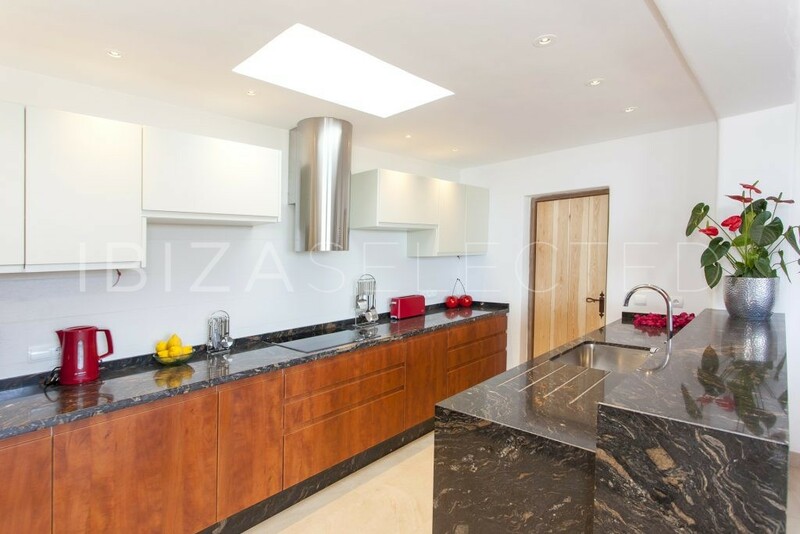 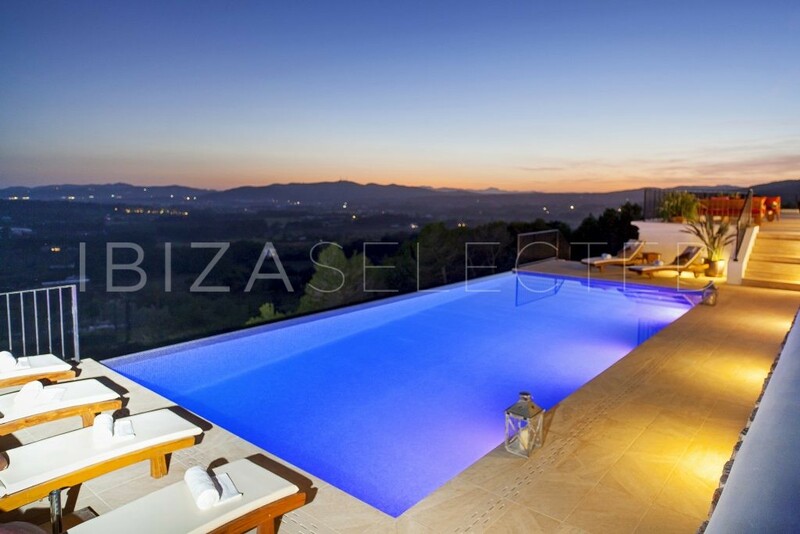 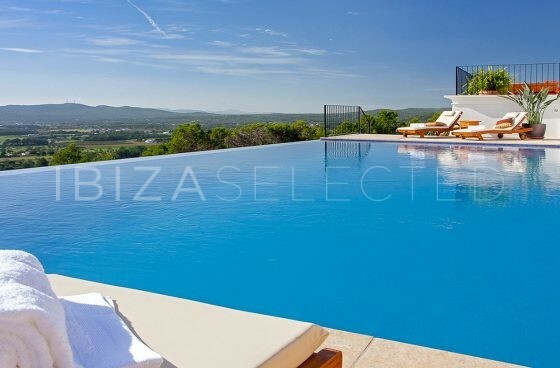 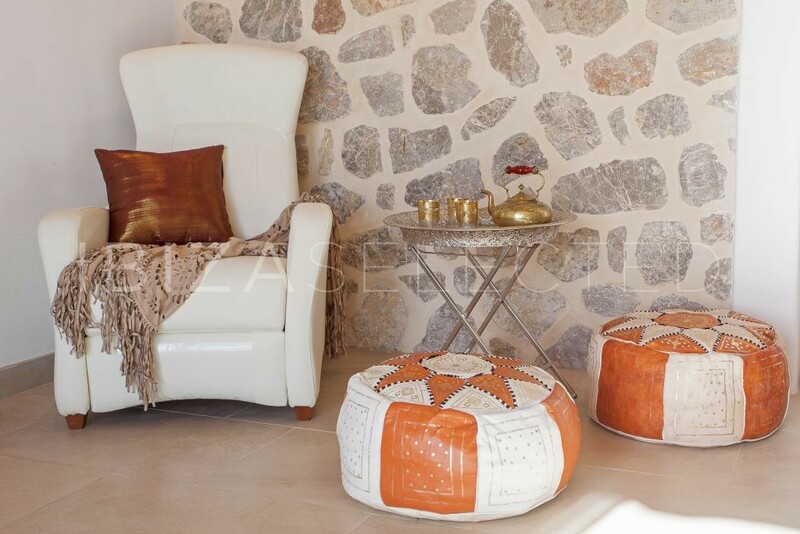 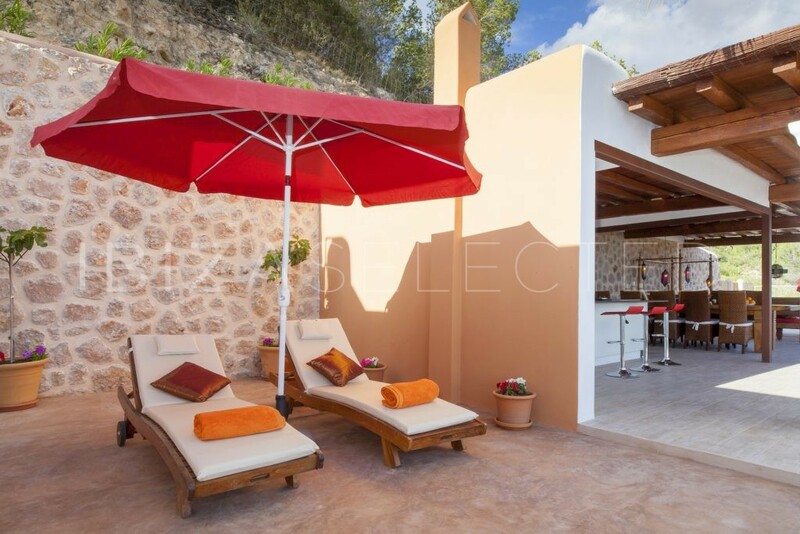 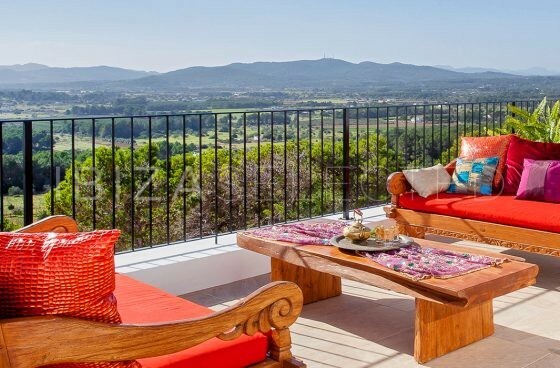 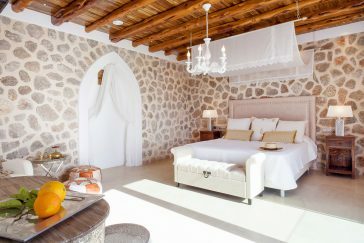 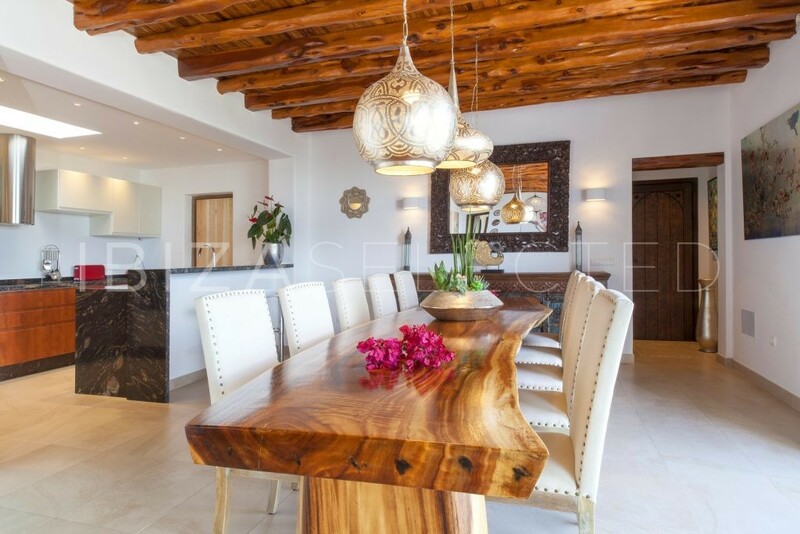 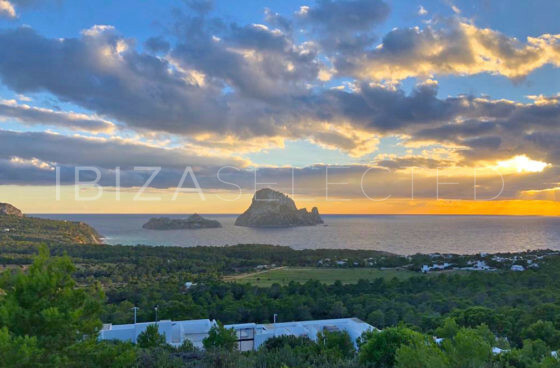 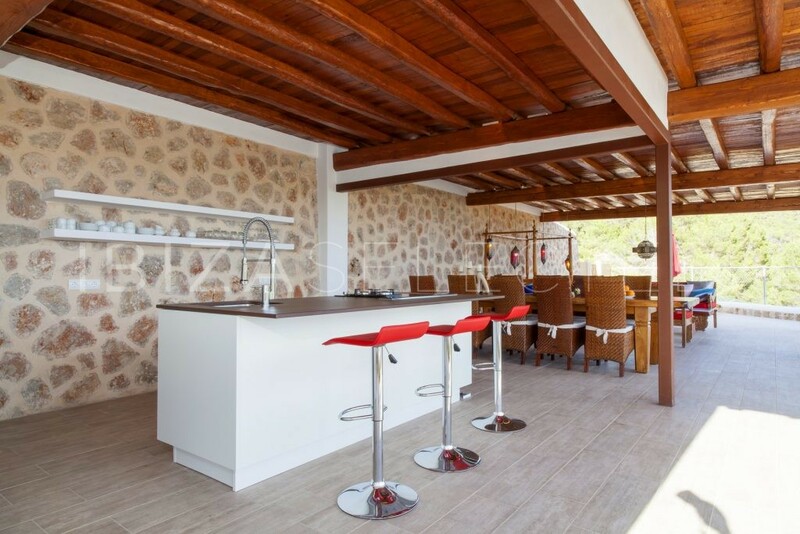 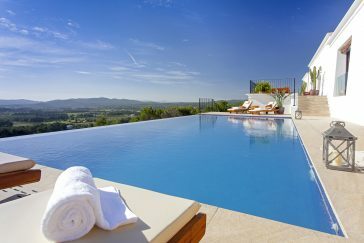 The beautiful property is a guarantee for an unforgettable dream vacation in Ibiza.